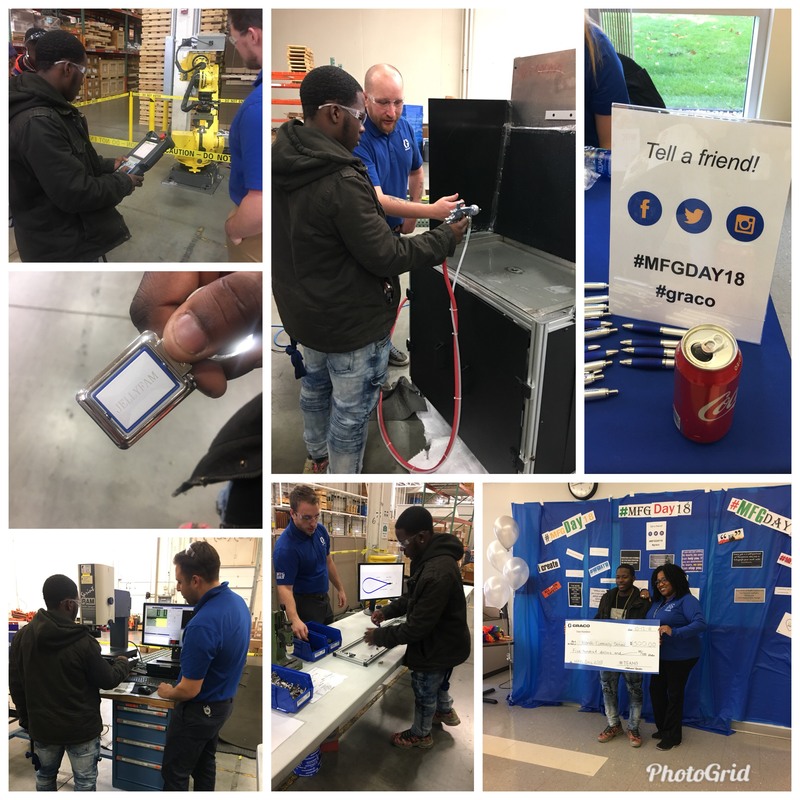 11th grade student, Davanee Williams, experienced modern manufacturing at Graco Manufacturing Day. He loved the hands on experience and access to technology. At the end of the day, Graco gifted North High with a check for $500 to be used for Career Exposure opportunities for students. Thank you Graco Manufacturing for investing in young people at North High!